At Toy Fair earlier this year we were surprised to discover that edible bubbles were not only a thing, they were also surprisingly tasty. But why stop at flavouring them like sweets? The next time you find yourself headed to a tedious children’s birthday party, you can now whip up a batch of edible boozy bubbles instead—just keep them away from kids. This £13 kit comes with six bottles partially-filled with edible bubble solution that can be flavoured by simply topping it off with your beverage of choice. Everything from cola, to lemonade, to coffee should work. 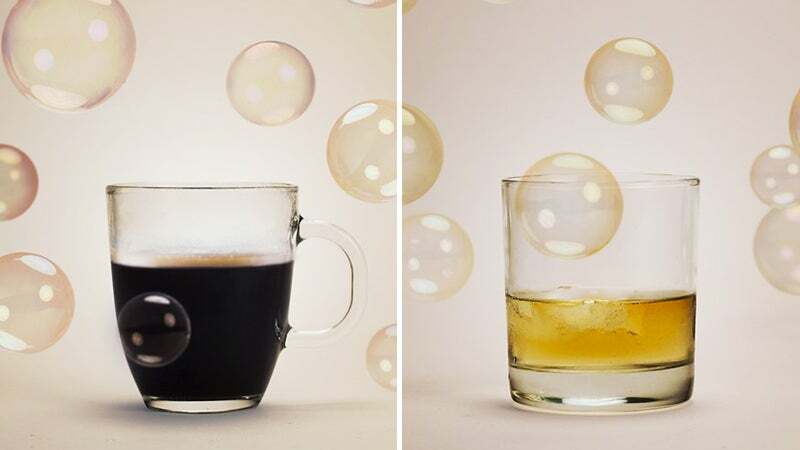 But since no one will suspect that a tiny bottle of bubbles will be alcoholic, it’s a clever way to smuggle floating shots of beer, wine, tequila, or whatever your poison may be.